This type of a Visa will be issued for the period up to 4 months if a foreigner has a decision from the regional office of Ministry of Internal Affairs (MIA) regarding an intention to grant him or her permit for temporary residency (PTR). At the moment, according to the law, an application from a foreign citizen for the residency permit is being processed during 6 months. Normally, during this period the right to stay in the country with the tourist visa expires, and a person has to leave the country. Thus, in cases when the response on granting PTR is positive, the person has to go through extra visa processing in order to enter the country and obtain the residence permit. Earlier, people, in order to meet this requirement, were requesting invitations and applying for the tourist visa. The decision on granting PTR is initial for granting a single entry Visa for 4 months. By the same decree, it was approved the right to grant a multiple entry Visa to those who will receive a PTR in Russia for the equal duration time as the requested PTR. The changes in the law were made due to the new rules for foreign citizens, who received the PTR, and in order to enter the country need a Visa. With the current changes, the foreign citizen can enter and exit Russia, even if his regular, tourist or business Visa has been expired. If the person has been granted PTR, the foreign citizen receives a Visa in his or her passport. 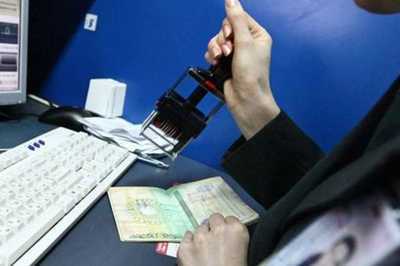 The new visa allows the person to enter Russia in order to obtain PTR.